Since the time of the Civil War, American military leaders recognized the need for a naval reserve that should include Marine detachments. This force would be critical – quickly activating if American suddenly went to war. Several states attempted to make their own naval militias to this end, but without a national force, they were unsuccessful and unorganized. That changed in the early 1900s. As World War I raged in Europe, it became more evident the U.S. would soon be forced into action. The nation’s armed forces were not large enough to handle a full-scale war. President Woodrow Wilson recognized this need and signed the naval Appropriations Act of 1916 on August 29, 1916. The act not only increased the size of the Navy’s fleet, it also formed the Marine Corps Reserve. 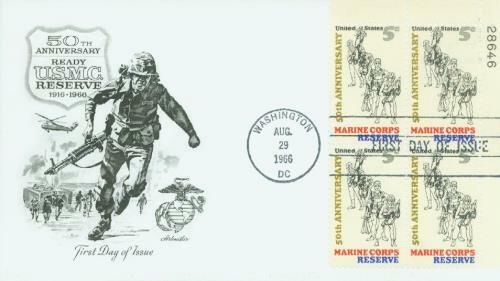 U.S. #1315 – Marine Corps Reserve Plate Block First Day Cover. The reserves reinforced the full-time military and increased American military readiness. In the event of war, the Marine reservists could be called into active duty. Two groups were established, the Ready and the Standby Reserves. Marines in the Ready reserves served six years and committed to one weekend each month and two weeks each year of active duty. Marines who completed active duty could remain in the Standby Reserves. During World War I, 7,500 Marines were reservists, about 300 of which were women. Reserve Marines joined ground and aviation units and fought in several significant battles including Belleau Wood, Soissons, St. Mihiel, and Meusse-Argonne. 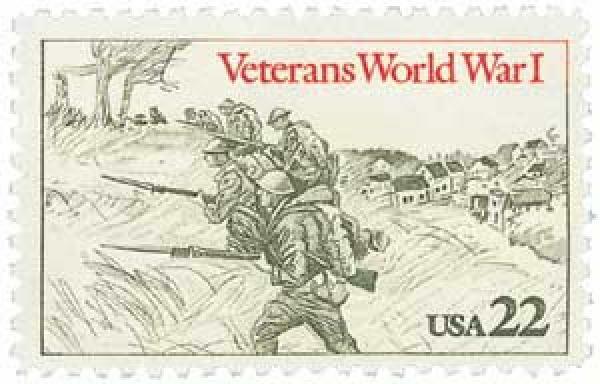 U.S. #2154 – This image was based on a drawing of U.S. troops at the Second Battle of the Marne. The Marines were demobilized after the war and 90 percent of the reserves were discharged. However, General John A. Lejune argued that America needed a substantial reserve ready in case of another war. So in 1925 Congress passed a new act creating 18 battalions and aviation squadrons. By 1930 there were more than 10,000 Reserve Marines. U.S. #1067 pictures reservists from the Marines, Coast Guard, Army, Navy, and Air Force. Reserve Marines would go on to comprise about 70 percent of the 589,852 Marines that fought in World War II. And 44 of the 82 Marine Medals of Honor went to reservists. 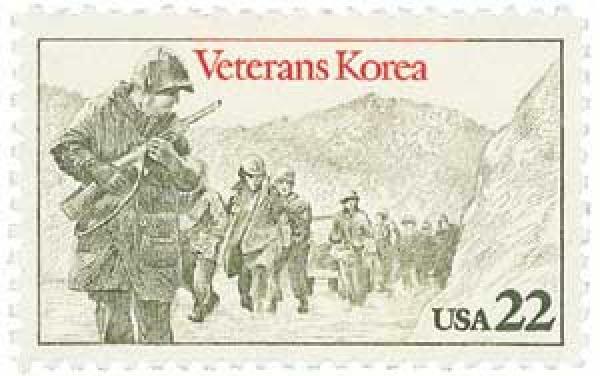 U.S. #2152 was based on 1950 photo of U.S. troops retreating from Chosin Reservoir. 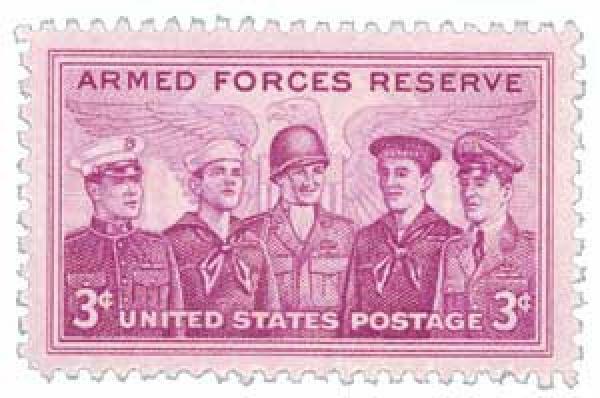 After the war, the reserves reached an all-time high peacetime strength of 128,962. The Marine Reserves would go on to comprise about half the Marine force in Korea, with over 130,000 reservists activated. Today there are about 40,000 Reserve Marines and 184 Reserve Training Centers around the country. 10 Responses to "This Day in History… August 29, 1916"
should always be remembered when they have served in the service. 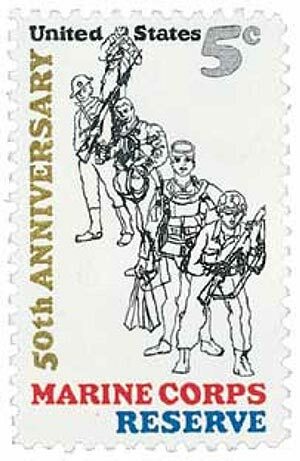 I applaud the recognition of our military, being one myself, however, I found this article difficult to read in places, such as this: “Since the time of the Civil War, American military leaders recognized the need for a naval reserve that should Marine detachments.” I failed to understand just what the writer was trying to convey. I agree, I cannot wrap my head around that sentence myself. Thanks for pointing that out. Looks like we omitted a word by accident. I’ve updated the article and it should make sense now! in his early years. Thanks for the back ground on reserves. Wonderful information and I love the stamps. How do I get them? Happy you enjoyed the article! You can click on any of the stamp images above to purchase them. Or give us a call at 1-866-660-7147 if you’d prefer ordering by phone. In the third response above, the word “include”, inserted between ‘should’ and ‘Marine’, would make the sentence fully readable. I think ‘would’ is a better choice of words than ‘should’ in that sentence. Good catch Jim! I’ve updated the article to include the omitted word.